Good morning, everyone! I’ve got a wonderful pie to share with you today! 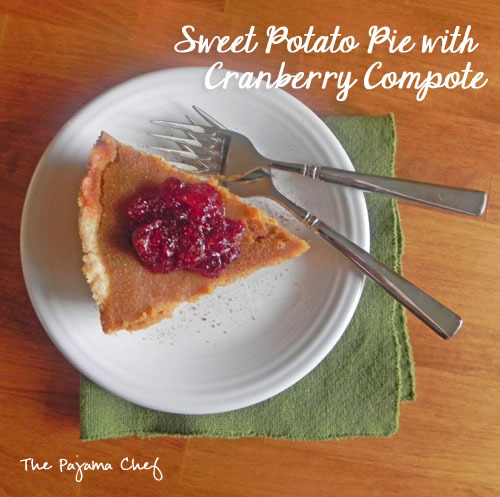 But not just any old pie–Sweet Potato Pie with Cranberry Compote! 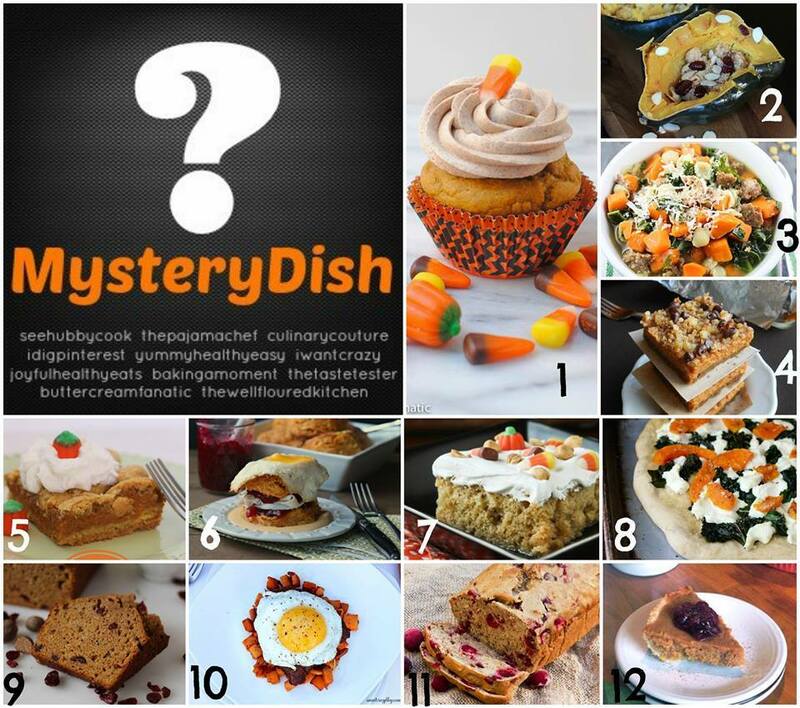 Since I made a pie for the first edition of Mystery Dish, I didn’t intend to make another one for this go-round. It just happened. I saw a picture on instagram of a sweet potato pie and inspiration struck! I have always wanted to try sweet potatoes in a pie and here was my chance. Oh, and Ben nixed the idea of anything else butternut squash, pumpkin, or kale. I guess he’s tired of those ingredients. I don’t understand… But I digress. I’ve typically shied away from making sweet potato pie because it seems so close to pumpkin… but YOU GUYS! It’s not! It’s pumpkin pie’s savorier cousin. It has a subtle sweetness, and when paired with tangy sweet cranberries, each bite is like Thanksgiving. Seriously. 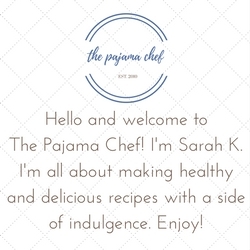 So I hope you make this pie and can look past the photos I took at 7 am in the morning because central time and fall and having a full time job are [gratefully] messing with my photography/blogging rhythm. The pie is great with coffee for breakfast, great for a late night snack, and just great all around. Try it out! Peel sweet potatoes and cut into large chunks. Place in a microwave safe dish and add about 1/2 cup water before microwaving for 10 minutes, checking halfway through for doneness. When potatoes are very soft, add butter and mash until smooth. Set aside. Meanwhile, combine sugar, eggs, vanilla, nutmeg, cinnamon, cloves, and allspice in a bowl. Beat with an electric mixer until combined, then pour in milk and mix again. After potatoes have cooled, add to sugar and milk mixture and beat on low for 2-3 minutes until very smooth. Pour into unbaked pie crust, and bake for 45-60 minutes or until a toothpick inserted in the center comes out clean. If the crust starts browning too much during cooking, cover with aluminum foil. To make cranberry compote, stir together sugar, water, and orange juice in a small pot. Bring to a boil, then add cranberries. Return to a boil and then reduce heat to low. Cook until berries begin to burst, stirring occasionally. Cool completely then store in the refrigerator. Cool pie completely before cutting. To serve, cut pie and top each slice with a generous serving of cranberry compote. you definitely should! it’s awesome. I loveee sweet potato pie andn need to try it with cranberry compote on it!! Oh yum! Love this! 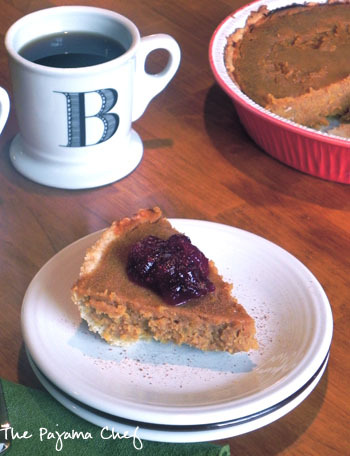 We make sweet potato pie every year but never made it with cranberry compote. Love the idea of using this tart side with the pie. Great post chica! Sweet potato pie is my favorite alternative to pumpkin, and I think it definitely doesn’t get as much attention as it deserves. So glad you posted this! Savorier! Love it. I think of sweet potato pie as pumpkin pie’s sweeter cousin but maybe that’s because I totally messed the single sweet potato pie I’ve ever made up by over sugaring it and also putting caramel on top. Oy! But I do prefer the texture of sweet potato over pumpkin so I need to try, try again. Love the compote on top – wonderful! I have never had sweet potato pie, isn’t that ridiculous?! Ooh, I love a sweet potato pie, and it looks SO good with the cranberries. Perfect fall dessert! This sounds like a delicious treat for fall, and a welcomed change from traditional pumpkin pie. I love sweet potatoes, and yet I haven’t tried sweet potato pie yet! definitely try it for the holidays this year–it is amazing! This would definitely be a holiday dinner favorite, looks delicious!